We’re a technology led company and everything we do is designed to make it quicker, easier and simpler for you to find the customers you want. 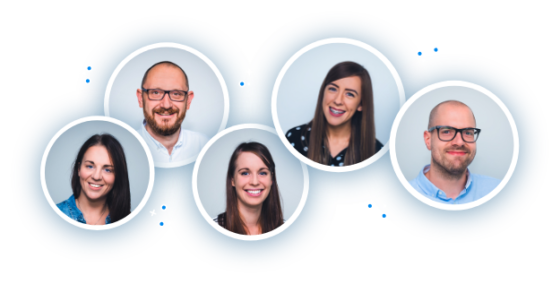 Our in-house team work tirelessly to innovate, develop and streamline every aspect of our service and have done so for over 15 years. Put simply, when it comes to finding new customers, we know what works and what doesn’t, and the Holmes Media Dashboard is the result. Tell us what type of work you’re looking for and in what area(s) and we’ll send you SMS texts and / or email alerts when a new lead comes in which matches your preferences. You can save time searching for leads, safe in the knowledge that we’ll let you know as soon as the right lead is available. If you enable AutoAccept our system will recognise when a new lead matches your preferences and automatically buy it for you. Get access to the customer details instantly, get in quickly and stand a high chance of winning the work. Set a limit on the amount of leads you’re happy to purchase each day. We put you in control of your account settings, lead quantity and cost. We don’t tie you in with contracts or make you buy more leads than you want to. Simply click ‘Buy Now’ when you see a lead you want. When you click ‘Buy Now’ you’ll instantly receive full details of the lead so you can contact the customer ASAP, increasing your chances of winning that customer. We give every business we work with a free Company Profile on our high traffic websites which you can edit directly from the dashboard. Use this to really show off your business. Promote your business to the 1,000s of people visiting our websites each month, show off your reviews and photos of your best work. Our websites are highly ranked and trusted by Google, so your listing will appear prominently in search results. We will send an email to your customer once the job has been completed inviting them to rate your service and provide feedback. Reviews are displayed on your Company Profile alongside an average rating. Gathering positive reviews will help you to build your reputation and, as they will be displayed on your Company Profile, make it more likely that your quotes will be chosen in the future. 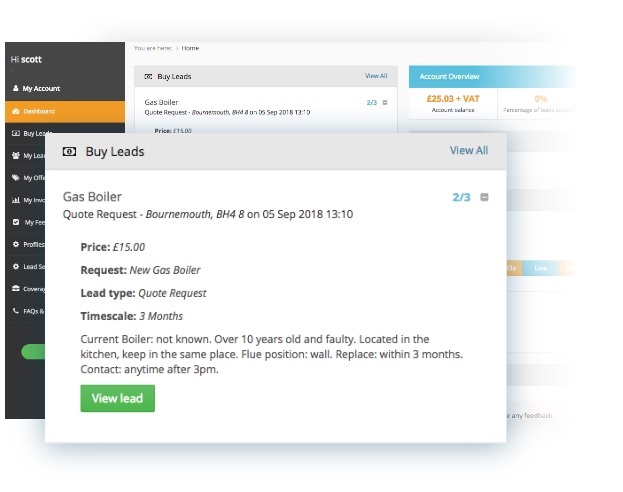 YouOffer leads are our latest innovation; they are from customers who have requested online prices for their boiler installation rather than the traditional site visit to quote. Remove the expense or time needed for a site visit. There’s no charge for making an offer and prices are always subject to a site visit. Find out more about YouOffer leads. With AutoOffer, our system will recognise a new lead that matches your location, lead-type and pricing preferences and make an offer for you. You set up your pricing based on a variety of different boiler installation scenarios. Make offers 24/7, without lifting a finger. The more offers you make, the more chance you have of being shortlisted and getting the opportunity to quote and win a new customer. We use automation to help our telesales team call the customer at the best time for qualification. Once qualified, we match that customer to the best companies based on many different factors. This ensures that our leads are primed, ready to buy and introduced to the companies best placed to serve them well.